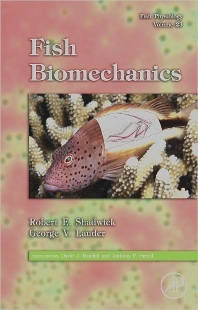 The first in two decades to exclusively integrate physiological and biomechanical studies of fish locomotion, feeding and breathing, making this book both comprehensive and unique. Fish Physiology: Fish Biomechanics reviews and integrates recent developments in research on fish biomechanics, with particular emphasis on experimental results derived from the application of innovative new technologies to this area of research, such as high-speed video, sonomicrometry and digital imaging of flow fields. The collective chapters, written by leaders in the field, provide a multidisciplinary view and synthesis of the latest information on feeding mechanics, breathing mechanics, sensory systems, stability and maueverability, skeletal systems, muscle structure and performance, and hydrodynamics of steady and burst swimming, including riverine passage of migratory species.